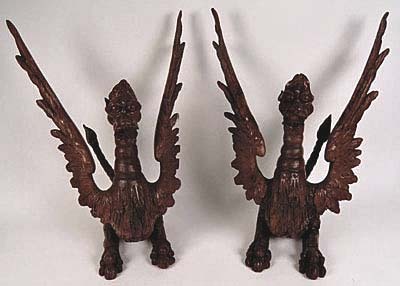 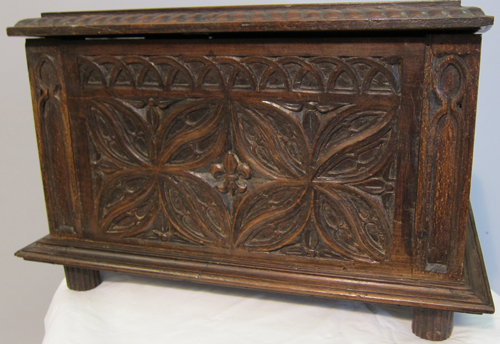 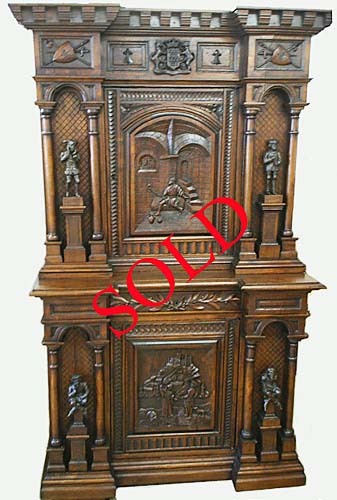 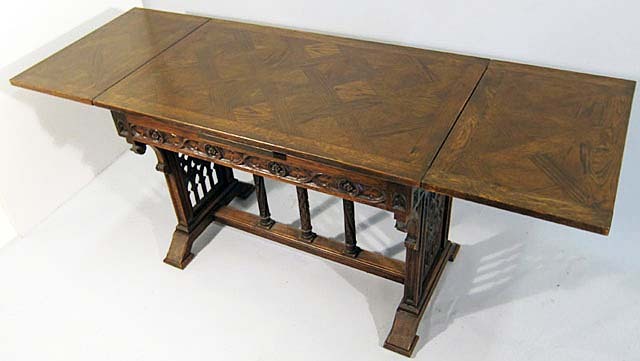 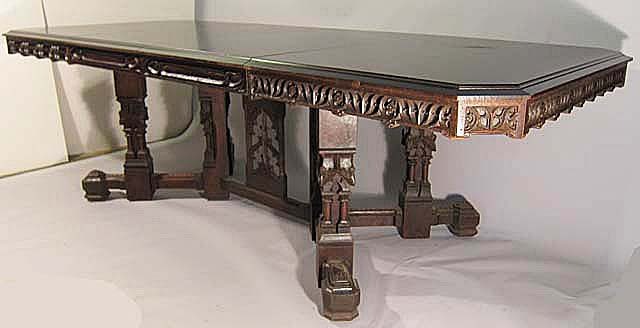 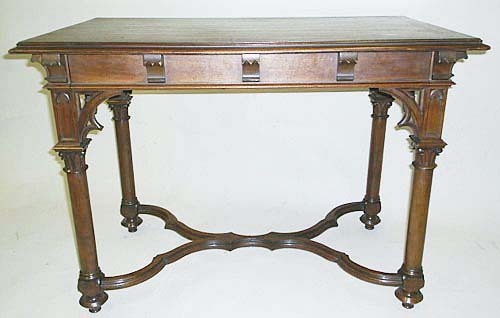 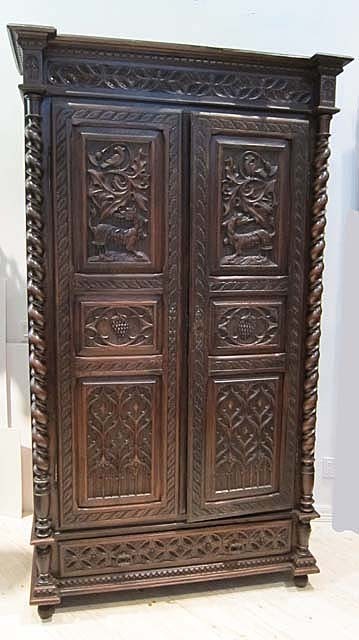 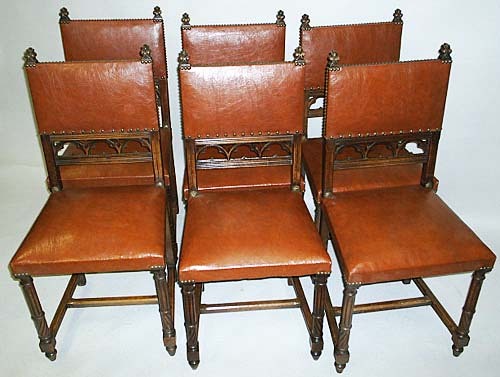 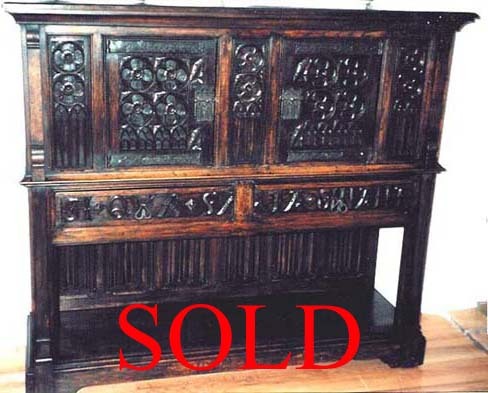 We got our start in the antiques business when we lived in Paris and discovered affordable 19th century pieces inspired by items, from the Middle Ages and Renaissance, that we had seen in museums. 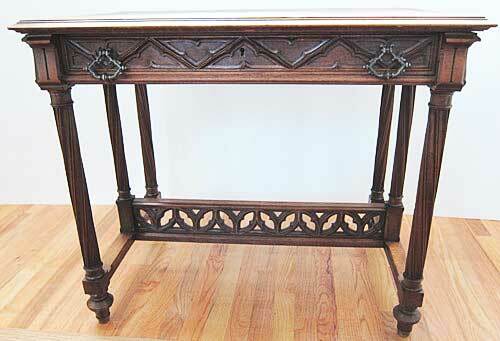 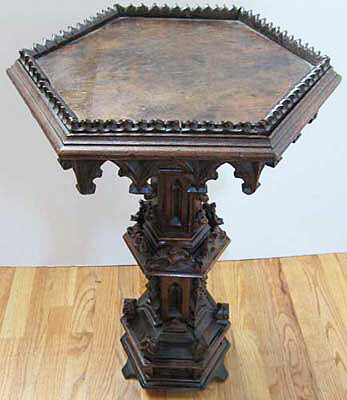 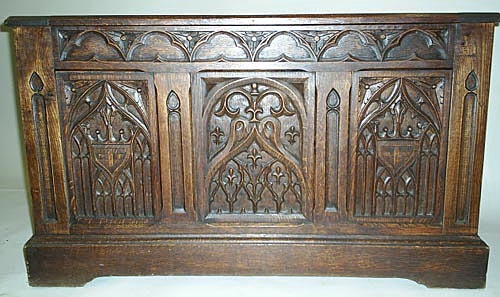 Go to our Stylistic Origins page for more information on Gothic style. 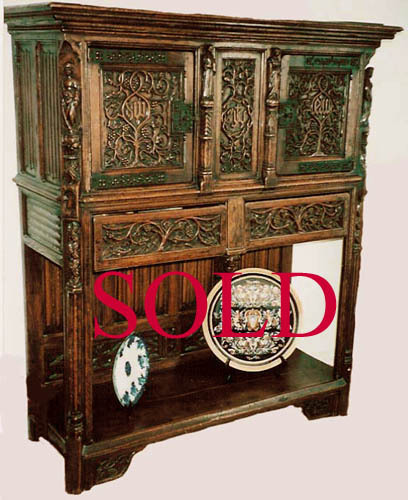 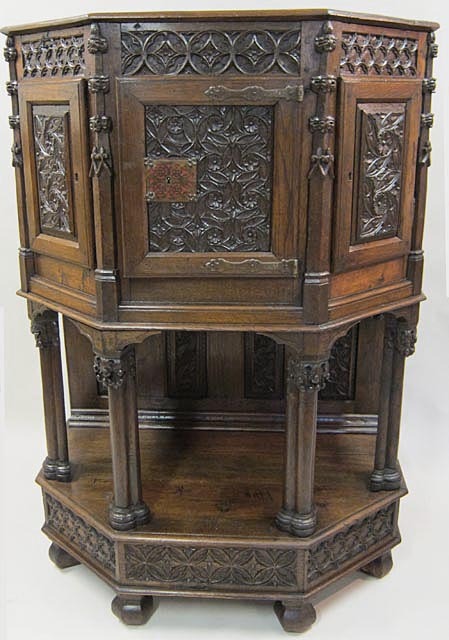 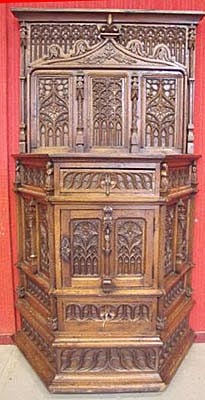 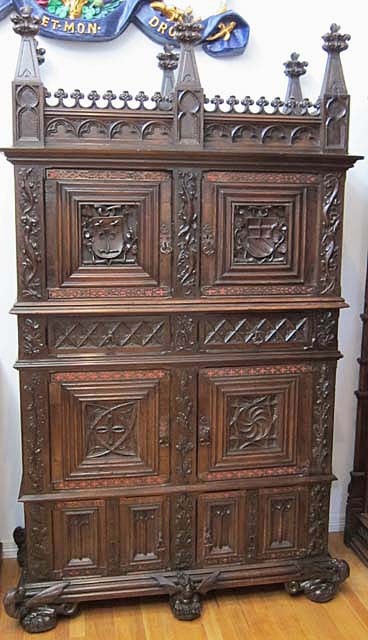 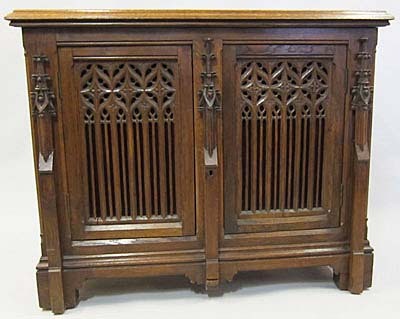 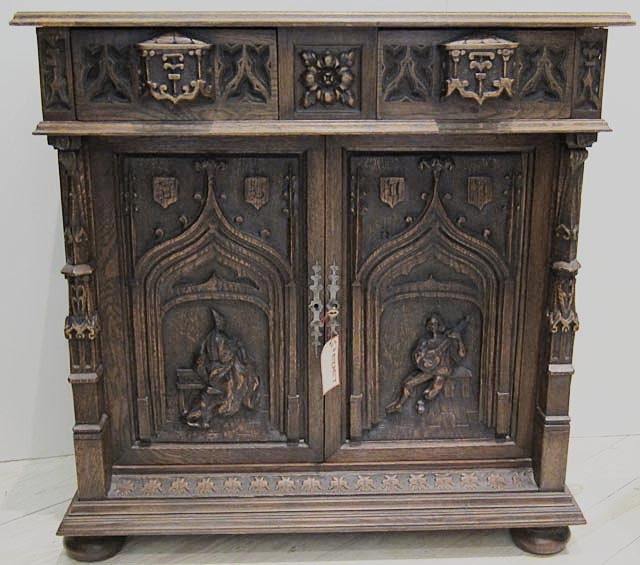 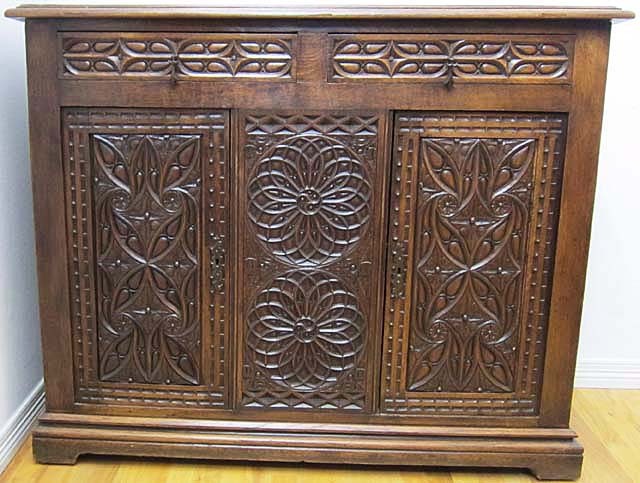 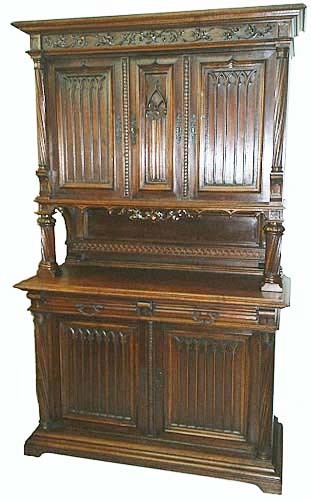 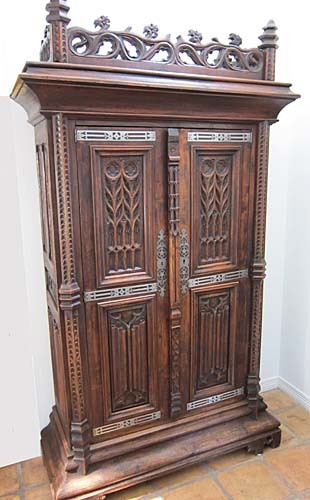 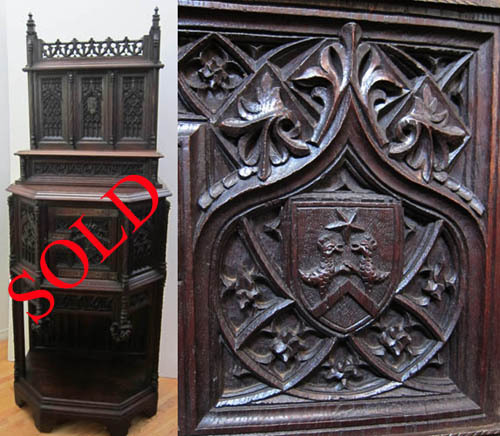 We especially loved the Gothic style cabinets and chests with their intricate carving, complex tracery designs (fenestrage) and architectural magnificence. 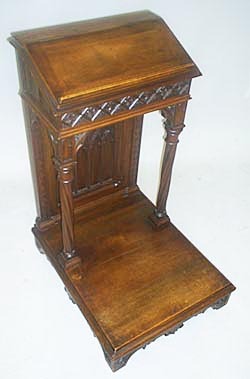 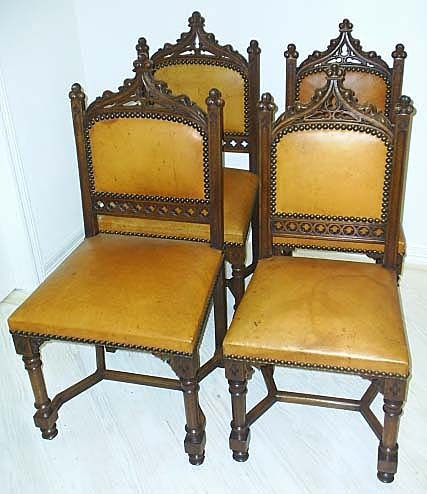 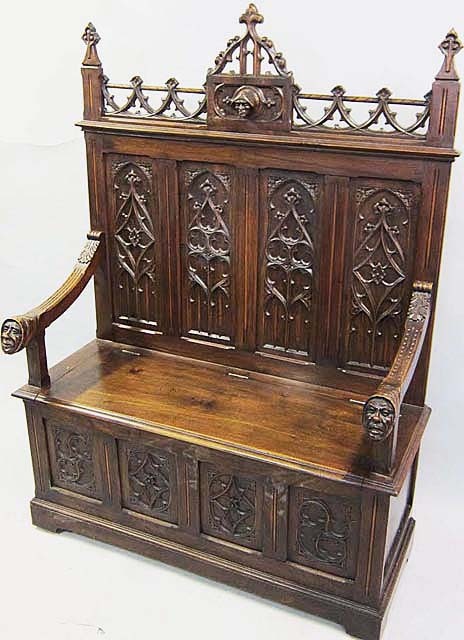 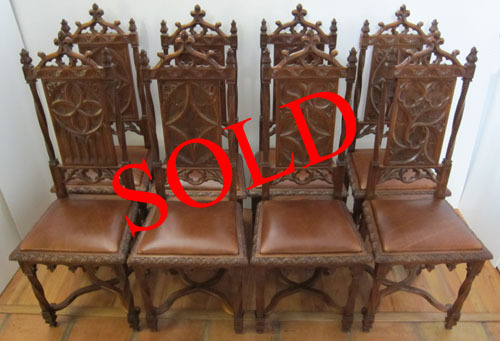 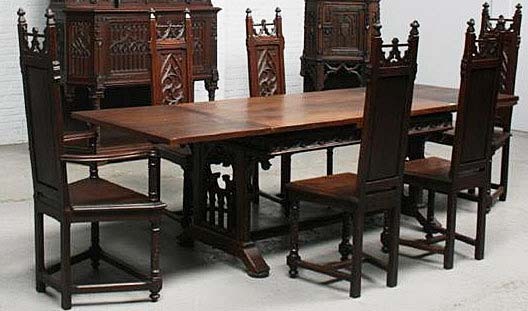 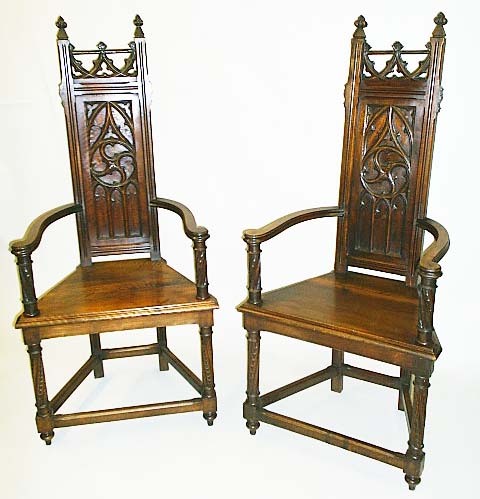 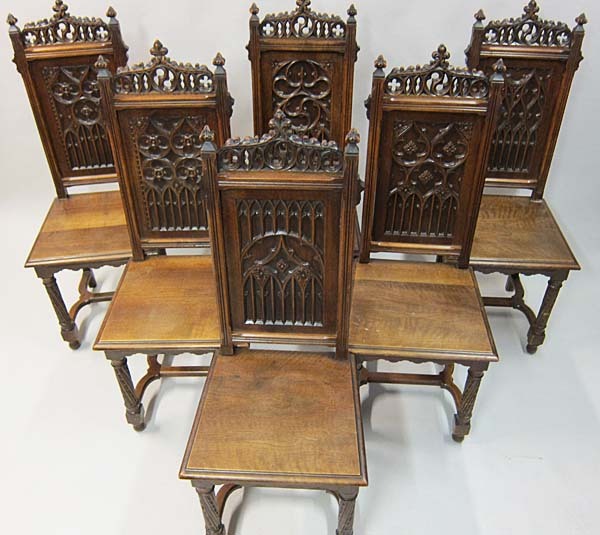 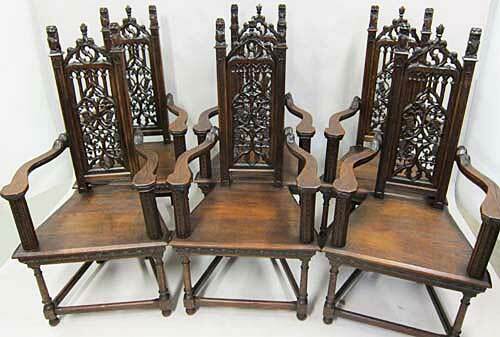 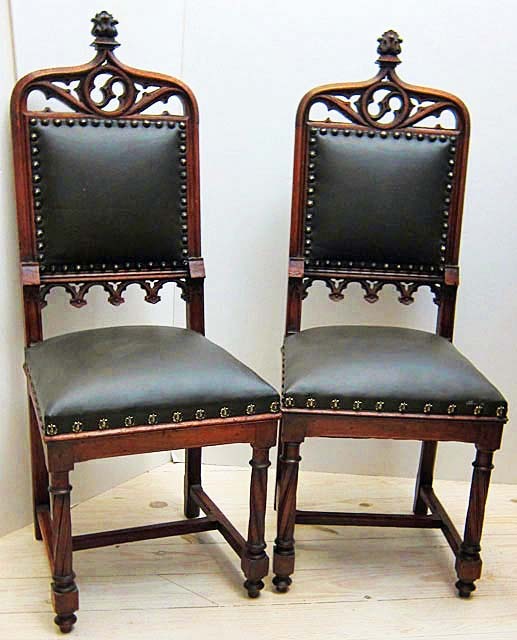 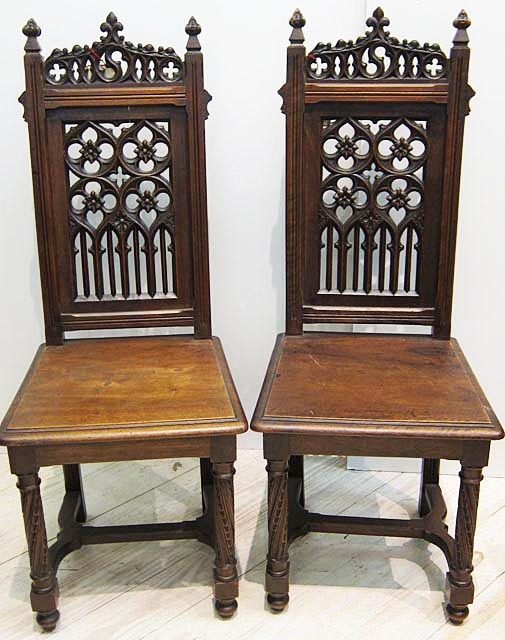 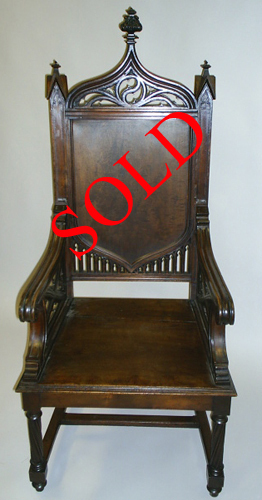 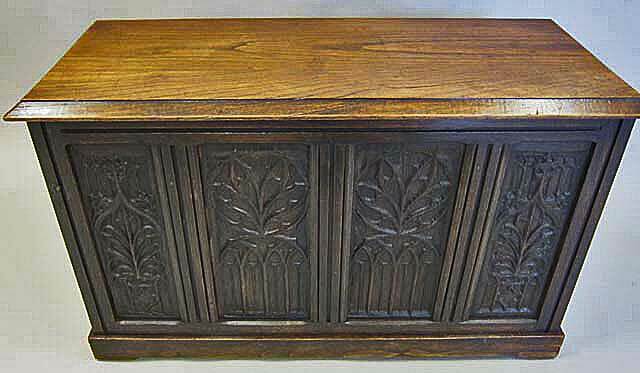 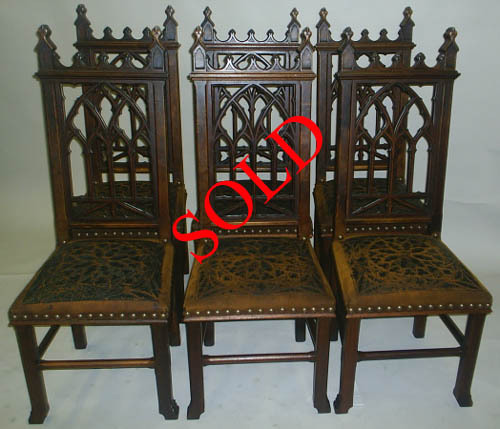 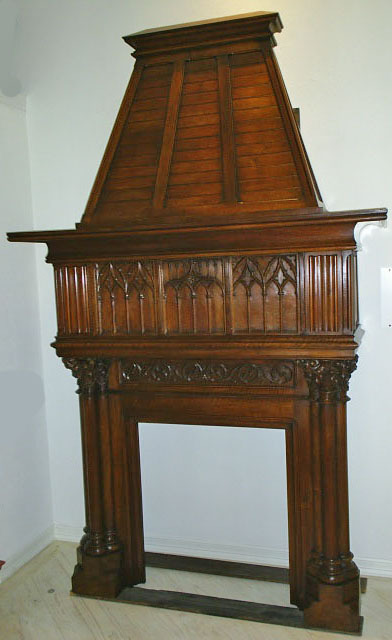 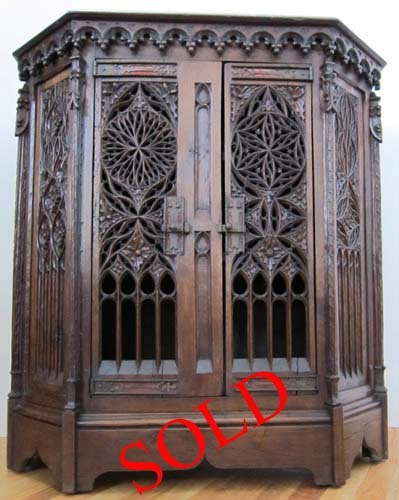 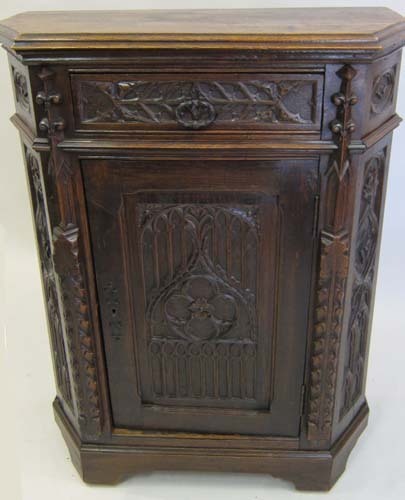 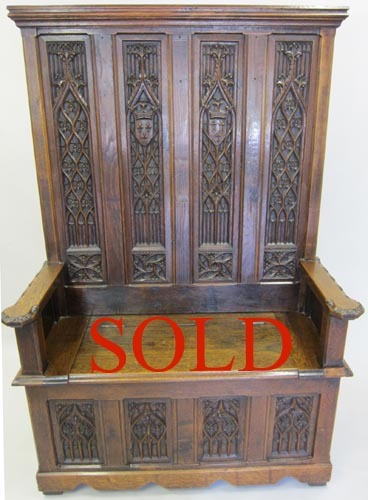 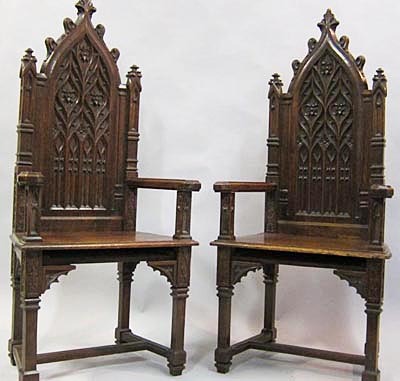 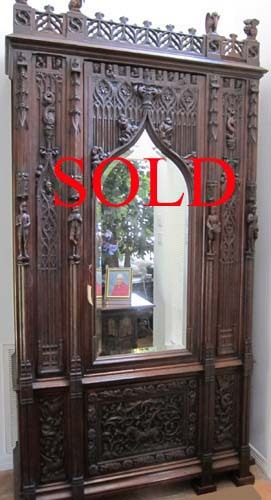 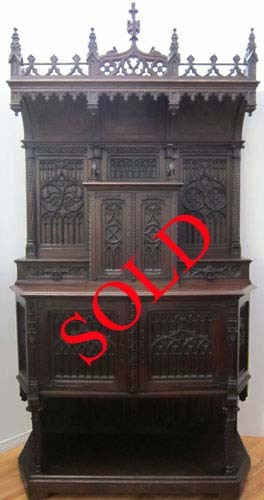 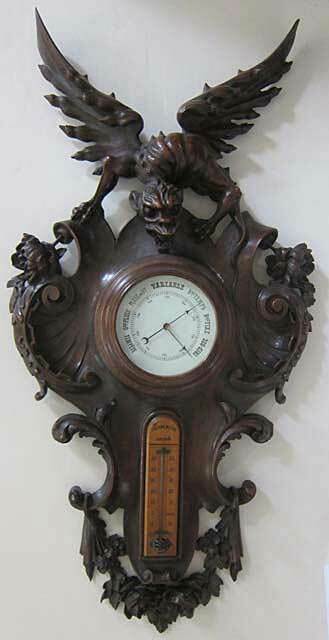 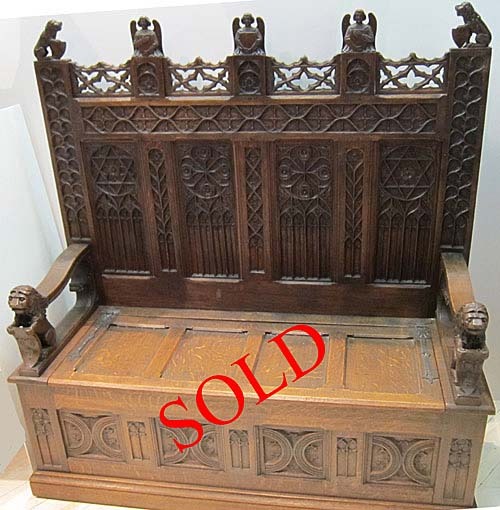 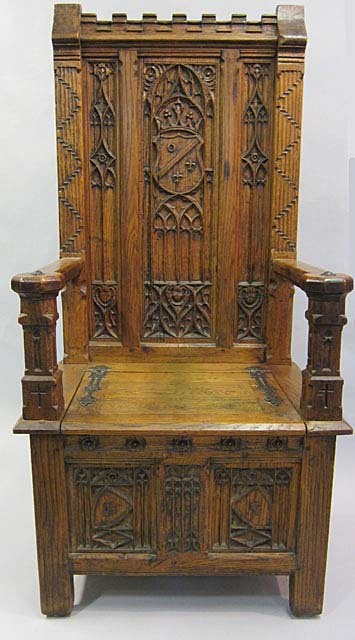 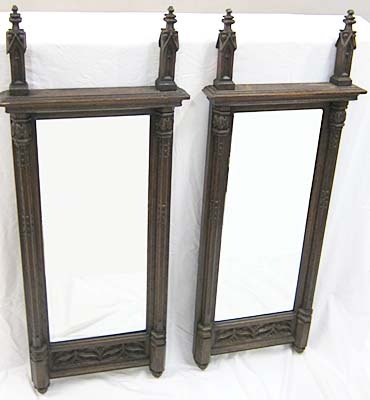 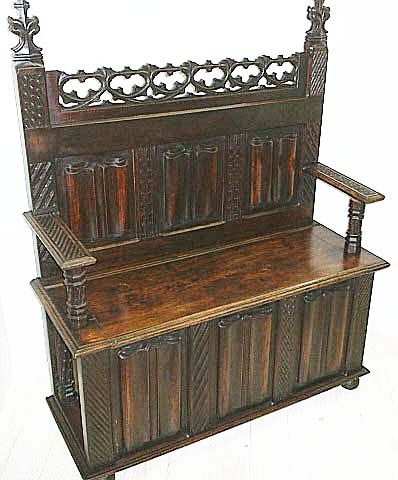 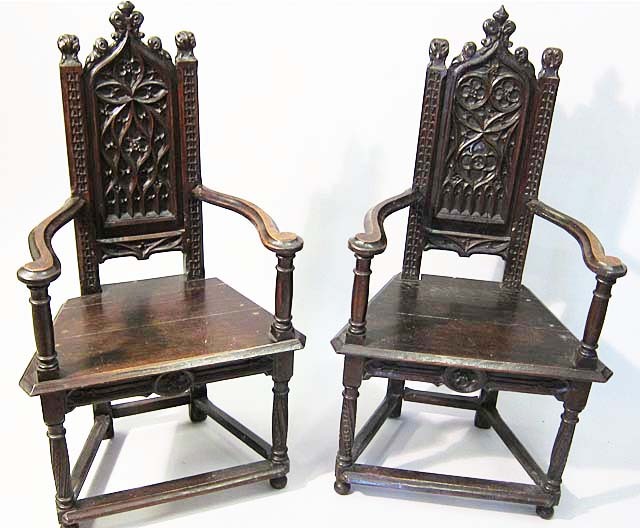 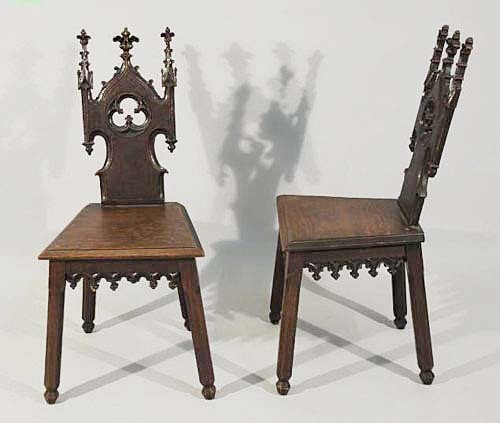 So we have gathered on this page all the Gothic Revival items we currently have as well as some we have sold (and will always miss!). 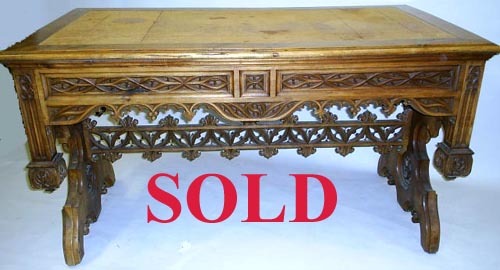 Click on photos or links for more information. 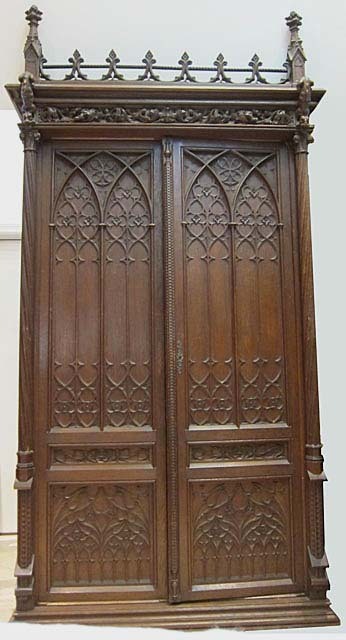 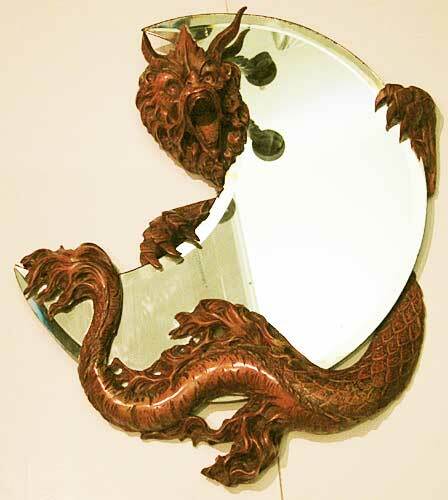 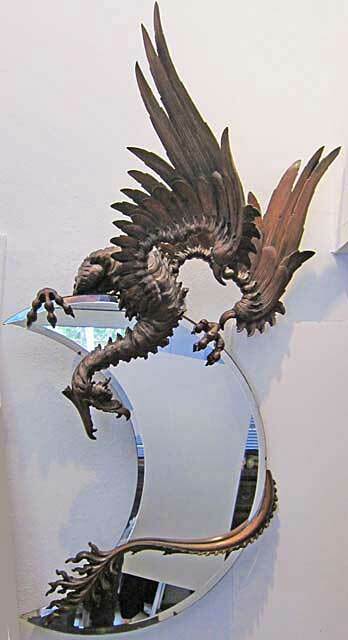 (Width 66½", height 110", depth 25½"